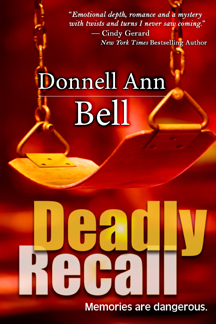 Last week I reviewed her book, Deadly Recall. This week I’m happy to have her as a guest to talk about that book and about her writing process. Are your good lines like this the outcome of slow labor or sudden inspiration? AF:I love your secondary characters. They are never just extras, but real people with personalities. Where did Father Slater come from? And Mr. Lucero and The General? Did you plan and construct them, did they pop up whole, or somewhere in between? DB: Oh, thank you! I loved these secondary characters in Deadly Recall. Originally, don’t tell anyone, I had planned to eliminate one of these characters. They were so compelling, and held firm that they wanted to stick around. They very much came fully developed. I just knew that Father Slater was from Boston, and came from a family of cops. Mr. Lucero was the same, and his cat . . . I knew nothing about Russian Blues. Nothing. But the General had to be Russian to compete with his namesake. AF: An influential teacher is a key part of Deadly Recall. Did you have a teacher who inspired you or motivated you at some point in your life? DB: You caught me. I had the meanest music teacher ever. I played the piano by ear. I wasn’t a prodigy, but I could listen to a tune and play it afterward. My music teacher highly discouraged that. Of course she was a nun. I wasn’t fortunate to have a Sister Beatrice in my life, but I did have two nuns who came awfully close and discovered my love of writing. When other kids were writing about space aliens and chocolate Chips Ahoy cookies, I was writing about a Texas town surviving a drought. My sixth and seventh grade teachers, both Ursuline nuns, gave me improv assignments. “Let’s see what you can do with this.” They encouraged me, and to a child, that meant everything. AF: You are one heck of a plotter. No loose ends, no “deus ex machina” solutions. All the gears mesh beautifully. Do you create the storyline first? What’s your process as a writer? DB: I had a firm plan where Deadly Recall was going, and knew who the murderer was from the start in the draft. 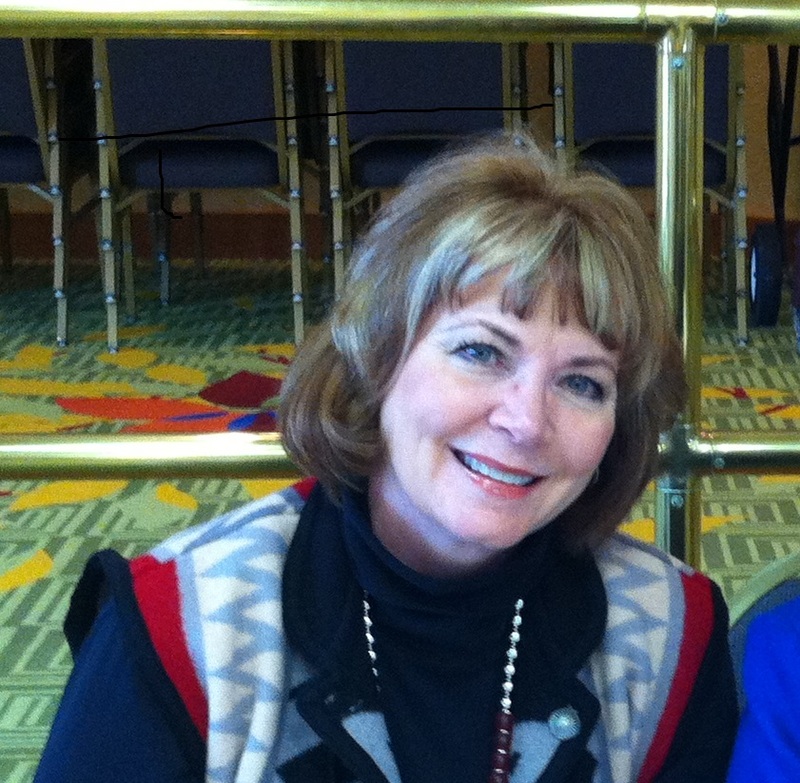 Then I attended a Donald Maass seminar in Albuquerque. He said if you know who your killer is, chances are the reader will, too. I was determined I was right and he was wrong. But at the very end of the book, I weakened and a different killer showed up. As for writing, I’m a linear writer. I wrote Deadly Recall scene by scene, and because I knew this topic so well (I’m Catholic) I knew what types of people would surround Eden, my protagonist. What’s more, I knew their mindsets, so out of the books I’ve written, Deadly Recall came the easiest to me. The police procedure was, of course, rough, but I had Crimescenewriters and a lot of help from law enforcement experts. I should probably tell you here that I encountered a lot of outside obstacles in writing this book. I finaled in a well-known RWA contest with two perfect scores. The coordinator was so excited, and the published judge who judged me said, “I can’t wait to see this in print.” I truly had my hopes up. What happened later was that the final editor of the contest, out of six finaling entries, gave Deadly Recall an honorable mention. In other words, I came in dead last. I couldn’t give up on this story, however. It finaled in the 2010 Golden Heart. The book was with a New York publisher at the time, when Bell Bridge Books made an offer on The Past Came Hunting and also Deadly Recall. I was so flattered when the NY editor said, “This is my loss.” I do feel I made the better choice as a new author. I might have been lost at a larger house. Bell Bridge Books has really stood behind me and my writing. 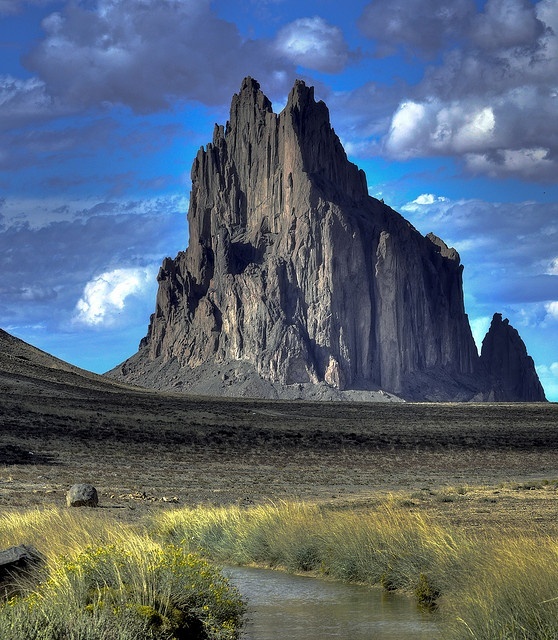 AF: As a former New Mexican, what’s your favorite NM memory? DB: Oh, gosh! This is probably the hardest question you’ve asked me, Amber. So many invaluable memories, so many that shaped me. I grew up in Farmington, New Mexico and attended Sacred Heart Catholic School. I had so much diversity around me, Hispanic, Navajo, Caucasians. I went roller skating on the reservation in Shiprock, New Mexico. I went out to Navajo Lake to water ski and to swim. I never realized racial tensions existed until I was in high school, which is a terribly sad story and too long for this interview. I have the utmost respect for the Indian culture, as some of these people were my closest friends. I lived in New Mexico for 18 years. I’ve lived in Farmington, Albuquerque and Las Cruces. My husband grew up in Tucumcari. We’ve traveled every inch of that state in his job. We have family there and it’s home for us. So many wonderful memories. AF: Tell me about some of the research you did for this book. It seems it must have involved law, police procedures, the Catholic church, music, psychology and medicine. DB: I am a former court reporter, so I had a good understanding of the law. I did contact Leslie Budewitz* a time or two and Shaun Kaufman and Colleen Collins. These people are invaluable resources. I have a dear friend who is psychologist and we talked at length what Eden might have gone through. Most of it came from experience, though, and from my heart. AF: Who are your favorite writers? What is it that you like about them? DB: My favorite writer for International thrillers is Daniel Silva. I was inspired to write and most probably developed my love of police procedures by Lawrence Sanders of the Deadly Sin series. I love Taylor Caldwell’s epics. There are so many mystery and romantic suspense authors I probably should quit before I leave someone out. AF: What are you working on now? DB: I am writing my first suspense series for Bell Bridge Books. It’s a challenge and a lot of fun. I have a romantic suspense release coming out November 6th called Buried Agendas. AF: Does your husband read your books? AF: Thanks, Donnell. You’ve been a delightful guest. For quite a few years I worked in theater, as an actor and choreographer. I loved the early rehearsals, while the creative process was first getting underway— seeing how a dance looked when done by the cast rather than as plotted in my head, or exploring characters with other actors. The hardest part, for me, was tech rehearsal. Did the revolving stage work? Did the dancers’ costumes look right under the lights? Performers spent hours holding their positions on the stage while the techies fine-tuned lights, sound, and scene shifts. Tedious, but without it, the play would be a disaster. If that revolving stage messed up, my choreography would quite literally topple. If the lighting cues were off, my dancers wouldn’t look their best. These long tech nights were hard, but social. The whole cast and crew went through it together. Dress rehearsals were a relief, and they felt exciting. They were followed by the director’s final and sometimes strong critiques as well as encouragement and praise. If I was the choreographer, it was my last chance to get every detail polished. Then, there’s tech. I read the edited copy to make sure my editor and I agree on all the changes. I get professional proofreading and fix the errors. And then, there’s that final, perfectionistic proof, proof and re-proof. Day after day of it. Tech rehearsal, all by myself. Fixing that last imperfect sentence that didn’t bother anyone else—beta readers, editor, proofreader—and that last little typo no one could see. I like to think no one saw it because the scene was so compelling, but I think it’s also related to the way an e-pub page looks compared to a Word document. It’s like the way the costumes look under the lights. The colors and textures change. It’s unfamiliar. I look at the e-pub document the way I look at a book I’m reading, rather than a book I wrote. Of course, after the fourth upload and double-check, I may have gotten used to the e-pub page’s appearance. My fear: I may have induced an error while being a perfectionist. Then I finally stop fussing over it and hit publish. This is not the dress rehearsal, this is it. Unlike a play, though, there is no striking the set, no closing night party. No closing night. As long as my performance is well received, it can run as long as I live. Phew! Snake Face is available for pre-order, and will be released Nov. 1. The best part of being finished? I have time to read other people’s books again! I wish I could link it the way I can a web site, but it’s in a scholarly journal you’d have to get through an academic library database. It would be worth the effort to look it up if you can. It’s in Vol. 2 #4, pp 8-13 and 97-98, July 1996. If you’re a regular listener to Car Talk on NPR, you’ve already thought about this, of course. The discussion of whether cars have souls has been going on for some time. The callers and the hosts seem to agree that some cars have souls and some don’t. There have been some fascinating conversations about detecting the presence of a car’s soul. I remember a neighbor who had to part with his ancient VW Rabbit when it was beyond repair. He went down to the parking lot of our apartment building and sat with the Rabbit late at night, as if it was a dying friend. To him, that car had a soul. They had a relationship. My psychic protagonist Mae Martin could pick up an object like that bottle and read the stories in its soul, if she had a reason to look for them. Many years ago I heard John Sebastian sing a song about lying back on the bed in some hotel and listening to the stories it could tell. I think it replayed for me subconsciously when I wrote the prologue of The Calling, and the scene in which Mae realizes, with some dismay, that she can listen to the stories an old bed can tell. The energy carried by ordinary things can be negative as well as positive, haunting and dark, not always nostalgic. Something clings to a murder weapon, and to a house where violence took place. In some indigenous traditions the names of the dead leave the world with them. Saying the name can call back the ghost. Relatives may give away everything that belonged to the dead, sending the spirit on its way. Our things may not only trigger our memories, they may have memories of their own. Would that explain famous “cursed” objects that carry bad luck? My Zuni fetishes were created to have spirits. My barefoot running shoes have acquired their souls with time. My yoga mats have energy in them, but not souls. Which things do you own that have souls?